Course description: Provide CPR is practical hands on two – three hours course with no pre-work required. It covers the practical application of CPR as well as providing further information surrounding the causes and use of CPR. 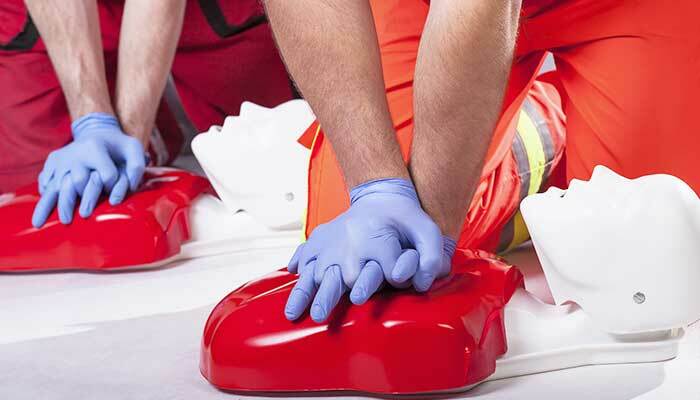 CPR can be conducted as a stand-alone course and is also part of our Provide First Aid Course. Course outcome: Participants who successfully pass this half day face to face Provide CPR course will receive a Nationally Recognised HLTAID001 Perform CPR Statement of Attainment in accordance with the Australian Resuscitation Council Guidelines which is valid for 12 months. Is it recommended, but not a legal requirement,. That your CPR training is refreshed every 12 months. Entry requirements: CPR is for everyone! All are welcome, there are no prerequisites for this face to face Provide CPR course. Assessment requirements: To pass this course participants are required to successfully complete practical and written assessment. Ensure you read our Pre-Course Information Provide CPR If applicable and our Student Handbook before booking as it contains our booking conditions.